Longmeadow property taxes showed significant back-to-back increases of 5.8% in FY12 and 6.1% in FY13 in large part due to the impact of financing for the new high school (see earlier Buzz post for details). Every year there are Longmeadow property owners who challenge their property assessments in order to receive an tax abatement. In FY12 there were 162 abatement applications filed and 63 were granted. Given the difficult real estate market during the past couple of years during which 50% or more of the homes that were sold were at prices less than the "official" assessed value (see chart from Real Estate Buzz blog), more assessment challenges are likely to come. The deadline for payment of FY13- 3Q property taxes and filing FY13 abatements is February 1. 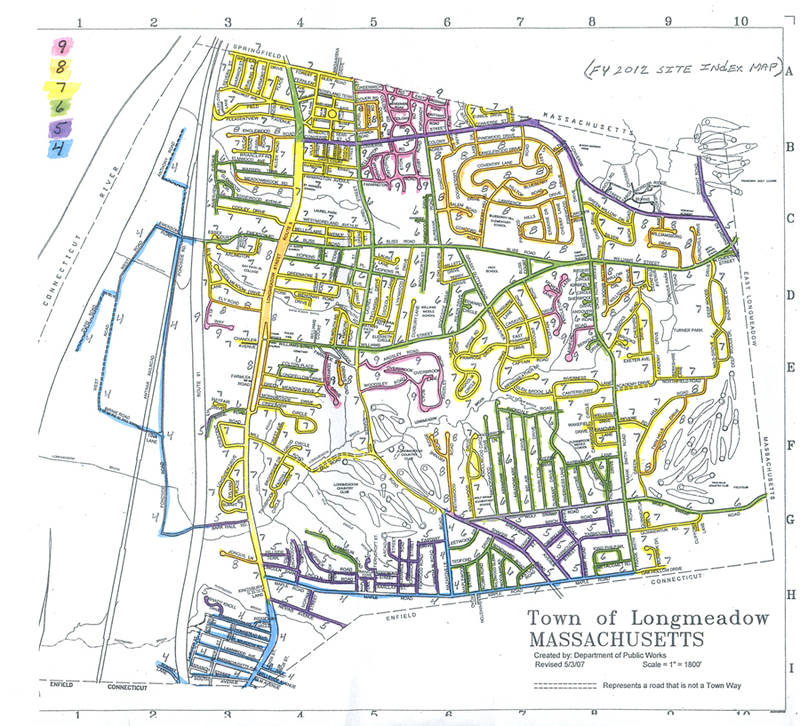 Earlier this month I spent some time with Robert Leclair, Principal Assessor for the Town of Longmeadow in order to better understand how individual property assessments are determined. What I heard was a systematic approach to the development of assessment values for over 5400 residential properties in town. According Mr. Leclair individual property assessments should reflect the fair market value that a motivated buyer will pay for a property. 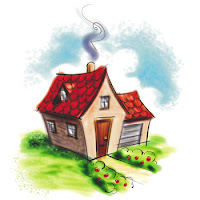 The latest property assessments which were posted on the Vision Appraisal website in mid-December 2012 are for the current fiscal year (FY2013) and represent home values as of January 1, 2012. However, there are many property owners in town who claim that their property assessment is too high and does not represent "fair market value". Click here to view a FY12/FY13 Property Assessment + Property Tax comparison for all Longmeadow properties (residential + commercial) for both FY12 and FY13. This pdf document is full text searchable and could prove very useful in filing an abatement for property taxes request. Below is an outline of how the system for assessing property values in town is configured. First of all, there are two components that make up the Total Assessment- 1. Land + 2. Improvements. Let's consider the land portion of the Total Assessment. 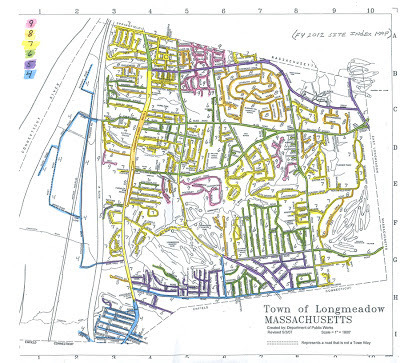 Below in Figure 1 is a map of Longmeadow outlining 6 different land zones. 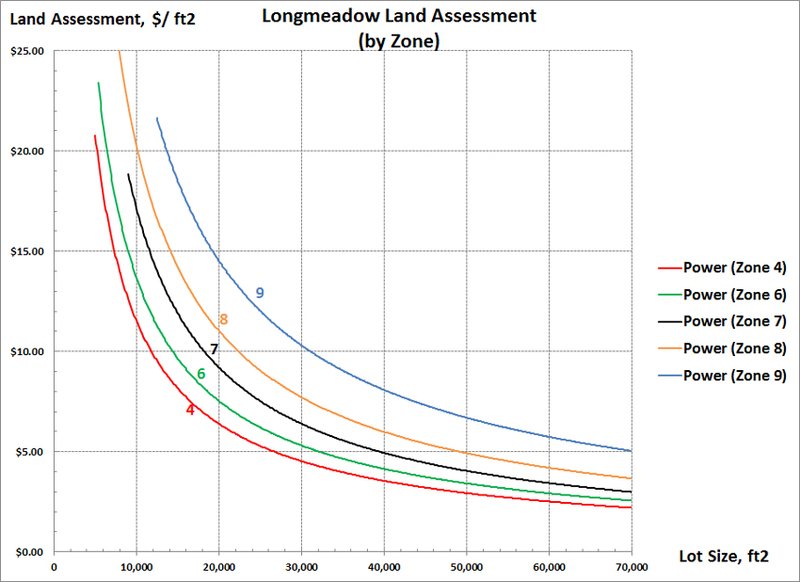 Land in each zone (4-9) is assessed a different value ($/ft2). In addition, larger lots are assessed a smaller value ($/ft2) vs. smaller lots as shown in Figure 2 below. Using the charts in Figures 1 and 2, a homeowner should be able to determine the land value of their property. 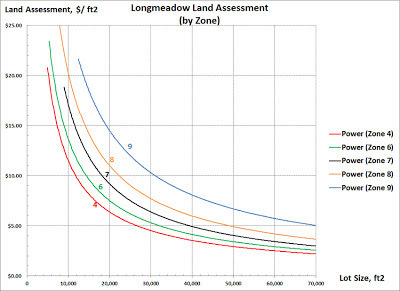 I found that the Land assessment can range from 30-70% of the Total Assessment. It's interesting to note that a house situated on 15,000 sq ft land in zone 4 will be assessed a land value of ~$120K while a similar house on the same size lot in zone 9 will be assessed ~$280K- a difference in FY2013 taxes of $3450. There are database adjustments in the Land Assessment for individual properties. For example, property lots that are adjacent to lower tier sections of town may be adjusted downward given specifics- (e.g., corner lot located on busy street). How about the impact of the corner lot zoning restrictions regarding property use and fencing (see recent Buzz post on this subject? Should corner lot property owners be entitled to land abatements? The current activity by the Planning Board and Zoning Board of Appeals to resolve this zoning bylaw may directly affect the number of abatements applications that will be filed next January. 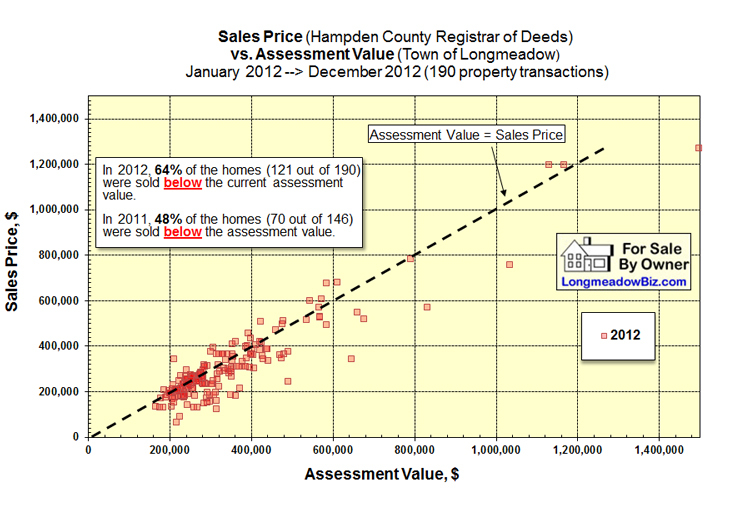 This part of the Total Assessment estimates the value of the house structure. A major portion of this part of the Total Assessment is the size and number of rooms as well as the condition of the house. It should be noted that the dimensions for the house footprint are outside wall measurements. Updates to the kitchen, bathrooms, room additions including finished basement, etc. increase the Improvements portion of the Total Assessment. Central air conditioning, in-ground pool and other outdoor structures (shed) increase the Improvements value. It's interesting that landscaping is not a factor in determining assessed value even though it is definitely a factor for determining fair market value. Every year: All of the information in the database is reviewed and evaluated based upon recent home sales. Every three years (triennial): There is a state level review of the data. Every 10 years- There is a measure and list evaluation which involves a visit. This year starting in April and continuing until September all properties in town will be inspected and details compared to the property record. Any discrepancies will be corrected and take effect in December 2014. A visit to Assessor's Office at Town Hall (2nd floor) to obtain a copy of your "property record" is worthwhile to ensure that all of the details are correct. Any identified errors (room sizes, etc.) may be sufficient cause to file an abatement for a reduction in property taxes. Are you a Longmeadow town resident who is constantly having difficulties finding out what is happening in town? Do you have frustrations using the "official" town website?